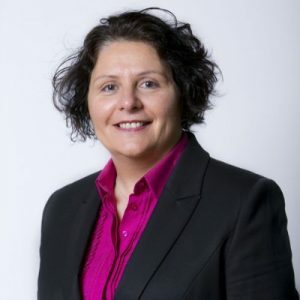 Deirdre Kiely, Principal has over 30 years’ experience providing accounting, auditing and business advisory services to clients across a wide variety of sectors and industries including SME’s, Professionals, Charities and Not for Profits and Corporates. Deirdre was Head of the Audit, Advisory and Assurance department at one of Ireland’s top ten accountancy firms before establishing Kiely & Co.
Deirdre is the vice president of CPA Ireland and a member of council. She is chair of CPA Ireland’s Strategy Review Group and past Chair of the Auditing Practices Committee and past member of the Financial Reporting Committee. She is a member of CCAB-I. Deirdre is a board member of the Social Finance Foundation and Chair of its audit committee. She is past Board member and Audit Committee Chair of Barnardos. She has also served on the regional board of Enterprise Ireland. Deirdre is a Fellow of the Institute of Certified Public Accountants in Ireland (CPA Ireland) and Fellow of the Association of Chartered Certified Accountants (ACCA). She holds an honours degree and masters in law from University College Cork. She is a qualified Barrister and qualified financial adviser. She is a member of the Institute of Directors and an accredited mediator with Mediation Forum Ireland.